I still cannot believe the rate at which Heroes of the Storm receives new content updates. Being a long time Dota 2 player, waiting almost a year for new hero releases has become normal. Now that all the heroes from Dota 1 have finally been ported, who knows how long it will take for new heroes? On the other hand, Heroes of the Storm promises to deliver at least one hero every single month. September has been even better with two hero and battleground releases. Alarak & Braxis Holdout was released earlier in the month and the latest update brings us even more from the Starcraft universe; Zarya & Warhead Junction. Read on to learn more about the latest HoTS patch! Due to school (4th year Computer Science classes keep you busy…), I do not have much time to play games these days. When I do manage to find some spare time, I still see myself jumping back into Overwatch, slowly working towards attaining higher ranks. Progress towards achieving this goal has slowed down a ton as I barely get to play Overwatch. On the bright side, I was able to keep playing Zarya in Heroes of the Storm. She plays very similar to how she is played in Overwatch: once again, Blizzard did a great job porting a hero from a first person shooter into a MOBA. To be honest, her skillset, while useful, is quite boring. Just like in Overwatch, Zarya is able to charge energy, amplifying her damage, by taking damage to her shields. Personal Barrier (W) provides Zarya with a powerful shield allowing her to soak up a ton of damage. While this barrier makes Zarya quite tanky and difficult to kill, a Zarya without her shield drops quickly. Therefore, it is essential to time your shield deployments correctly in order to absorb the most damage. If you’re able to use your Personal Barrier to negate the damage from large nukes, it can turn the entire fight around. Shield Ally (E) helps spread the… shield?… by enveloping an allied hero in a bubble. This shield works just like your Personal Barrier, just not as powerful. Being able to shield yourself and allies at critical moments separates the good and bad Zaryas. While her damage is not very high under normal circumstances, she can pack quite the punch at high energy. Particle Grenade (Q) is a spammable area of affect attack dealing decent damage to all enemies in the target area. Although this grenade is a projectile, it is still quite easy to land. Since Zarya’s energy replaces her mana, feel free to spam this (and all other abilities) to your heart’s content; you only need to worry about their cooldowns. Continuing on with the theme of providing utility to your team, Zarya’s ultimate abilities can change the flow of team battles. Your first choice, Graviton Surge, launches a gravity bomb, detonating after 1 second and pulling all enemies towards it’s centre for 2.5 seconds. While watching this year’s International Dota 2 tournament, I found myself missing the days of Tobiwan screaming ‘BLACK HOOOOLE!!! !” as Enigma sucked in enemy heroes towards their deaths. This feeling was somewhat remedied by Zarya’s ultimate ability after seeing it setup easy team kills for my allied heroes. Unlike Enigma, this ultimate does not need to be channeled, making it something enemies always have to watch out for. When playing against a Zarya, DO NOT group up, unless you all have plans of meeting your maker. While Graviton Surge provides a lot of utility for your team, it deals no damage. This means that this ability’s value depends on your team’s ability to capitalize on clumped up enemies. More than once, I was able to land great heroics which ultimately lead to nothing. Sometimes this can be your fault for throwing down Graviton Surge while your team is out of position but can also be the fault of your teammates for not being in position. Not being able to use voice chat to call out your heroic doesn’t help but it is a good idea to always alert your team (by Ctrl+Clicking your ability) before casting it. If you would rather not just depend on your team, Expulsion Zone, may be a good alternative heroic. This heroic ability launches a gravity bomb that deals damage and creates and expulsion zone for 3.5 seconds. Rather than pulling enemies in, enemies entering the affected area are knocked away and slowed. I personally almost always prefer Graviton Surge as it provides a lot more utility to your team but in some cases, such as having a team without the ability to capitalize on Graviton Surge, Expulsion Zone starts to look a lot better. All in all, Zarya is a pretty strong ranged warrior. She provides a lot of utility for her team and has the potential to single handedly turn around team fights. I loved the high impact ultimate abilities possessed by Dota 2 heroes so it’s great to see Zarya possessing the same ability. I am likely to play Zarya more when playing with a group to guarantee that my heroics are followed up with additional abilities. However, even in solo queue, she can still be quite strong. I’m excited to see what the professional, coordinated teams can do with her. If this patch included just Zarya, I would have been more than happy. However, Blizzard didn’t stop there: they went ahead and added yet another battleground to the game. Warhead Junction pits two teams fighting for warheads. These warheads can be used to nuke a large area, dealing massive damage to all enemies (including buildings) in that area. If a hero dies with a warhead, their warhead drops; leading to another fight over possession. These nukes deal massive damage: about 3 nukes can take down the enemy’s core! Although these nukes have the potential to deal massive damage, heroes who pick them up must be in medium range of their target and channel to launch them. This means that losing a warhead to an enemy is not the end of the world; you can still get it back by interrupting the enemy hero’s channel and taking them down. 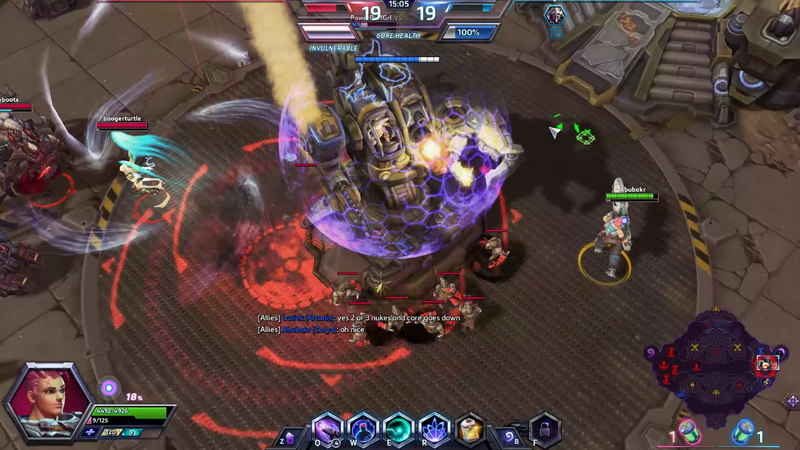 Unlike Braxis Holdout, Warhead Junction is quite simple: pickup warheads and nuke your enemy. Of course, there is additional thought that goes behind contesting for warheads and deciding where to launch them. Still, this simple map can be a ton of fun; the potential of getting nuked keeps both teams on their toes. Blizzard’s promise of ‘a hero a month’ already provides Heroes of the Storm with a ton of content. Even with this big promise, Blizzard still manages to over-deliver. Before this month, we had no sign of Starcraft II battlegrounds in Heroes of the Storm but now we have not one but two! 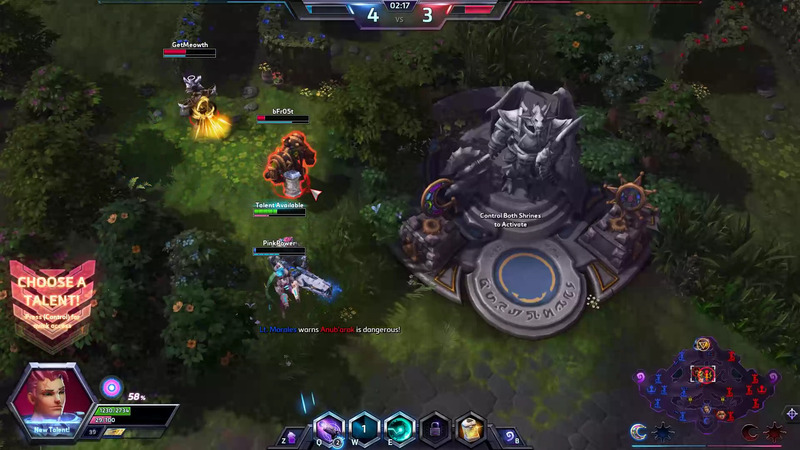 It’s great to see so much content being pumped into Heroes of the Storm. On the other hand, I find the balance changes to be occurring too frequently. When a change is made, it is not surprising to see players finding it hard to deal with. However, given time, the meta evolves as players learn to play around the new changes. What may seem broken at one point could end up seeming weak, even without any input from Blizzard. Constant balance changes may help bring more balance to the game but can also cause more imbalance as players always have to get used to these changes. I wish Blizzard would let things play out more before jumping in with their buffs and nerfs. 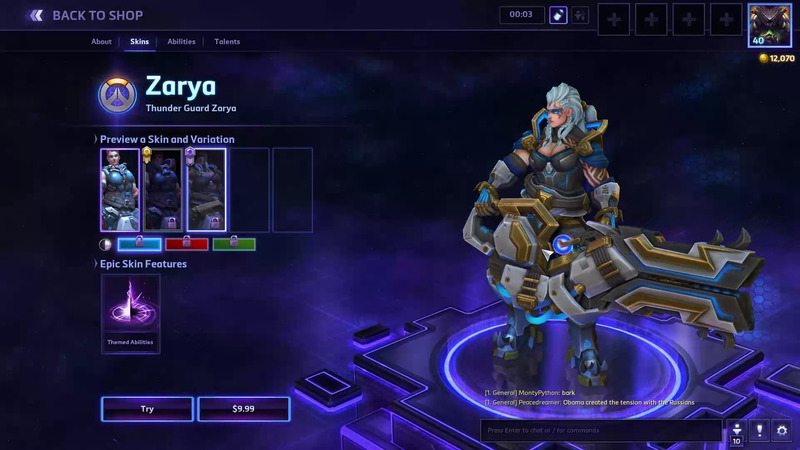 Zarya already got multiple changes days after her release; maybe they were needed, maybe they weren’t? You can only be sure once players figure out how to properly deal with and play her. I’m looking forward to what else Blizzard has in store for Heroes of the Storm. Is it possible that we may see some Overwatch battlegrounds in the near future?